I love quilts...I made a few by myself....love the great mix of colors and techniques. I used few of quilt block patterns for my cards today. I used patterned papers instead of fabric...its super fun!! The PP is from Lily Bee Designs. The sentiment is from Papertrey Ink. I also made a tag to match. 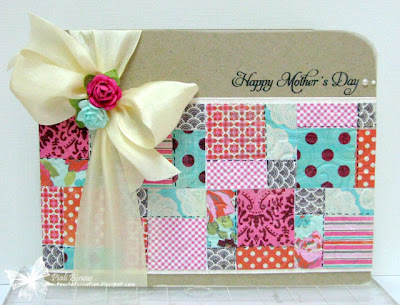 Dry embossed it to give quilted look. Make it Monday :Anything Goes . 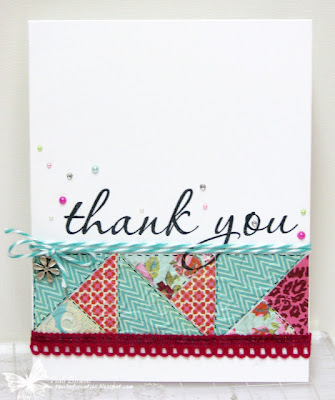 Here is a qulited Thank you card.. The sentiment is from Papertey Ink. Let`s Ink It Up:Ribbons and Lace. Marks Finest Papers : Use Lace . 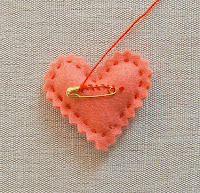 Happy Valentine's Day Crafty Friends!!! 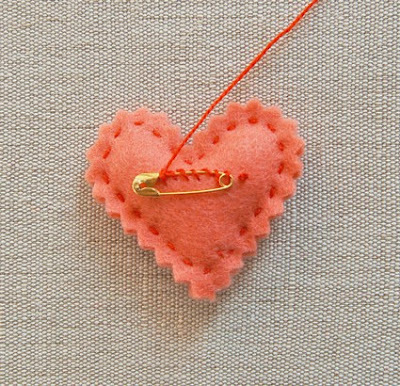 Hope you all have lot of lovely things planned for today!!! Have fun and enjoy!! I've CAS valentine card to share...made it for the PBSC challenge.. 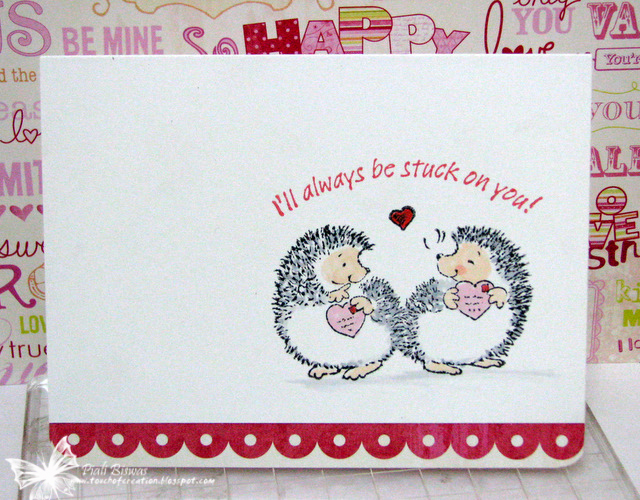 Cute, cute...super cute Penny Black stamp's Hedgie couple....love them!!! Sweet Stampin:Clean and Simple . Colour Me Creative Copic's Challenge : Colors of love. Simon Says Stamp and Show... : Anything goes! 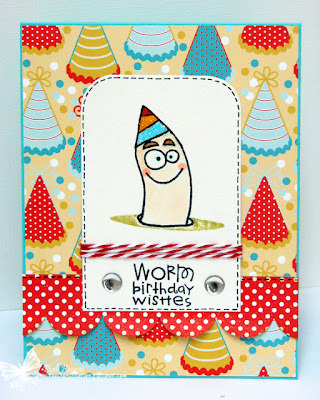 Love this sentiment stamp from Paper Smooches! Just punches out two hearts from Echo park-Yours Truly papers...and a lil' washi tape...easy peasy!! Simon Says Stamp : Love. The Pink Elephant : pink. 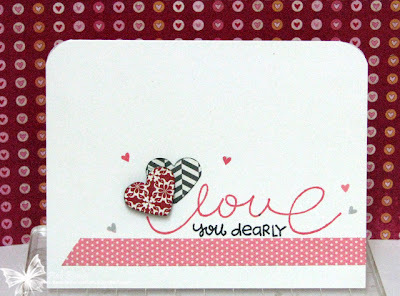 Stamps R Us : Valentine/Love . Stamp with Fun : love. I've a cute birthday to share with you all!! My lil' one had a birthday party...so I whipped up this quick card for her friend. 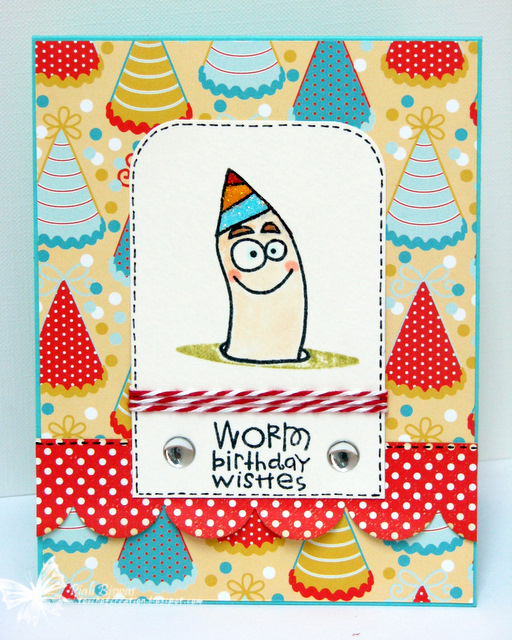 I used My Mind's Eye papers and Paper Smooches stamp for this card. 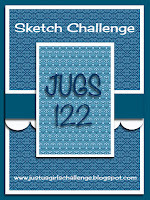 Paper Smooches Guest Designer Search. 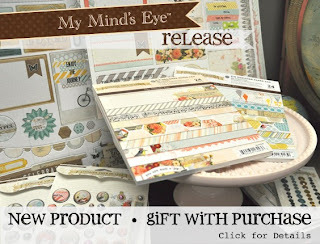 Did you know New CHA released My Mind' Eye goodies are already available in Two Peas in A Bucket??? 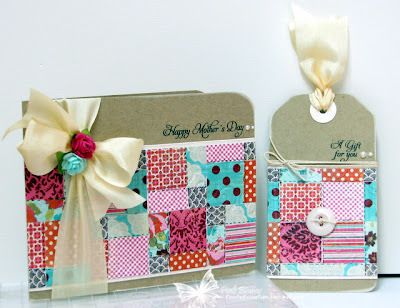 I just order all the 6X6 pads and few gorgeous stamp set...love them all!!! Two Peas in A Bucket is having a special on New MME products...... if you purchase $25 in new My Mind's Eye goodies you'll get a free gift! Lets see what I get as free gift?? ?